I have beaded patterns in the net weave stitch with full color illustrations and step-by-step directions for sale. Peyote graph patterns for bracelets and purse necklaces. Christmas ornaments and snowflake patterns done in net weave and a variety of patterns done in peyote. Instant download of patterns are in PDF format. Go to the Customer account area to find a list of purchased patterns and easy download at any time after payment in approved. So come on in and have a look around. 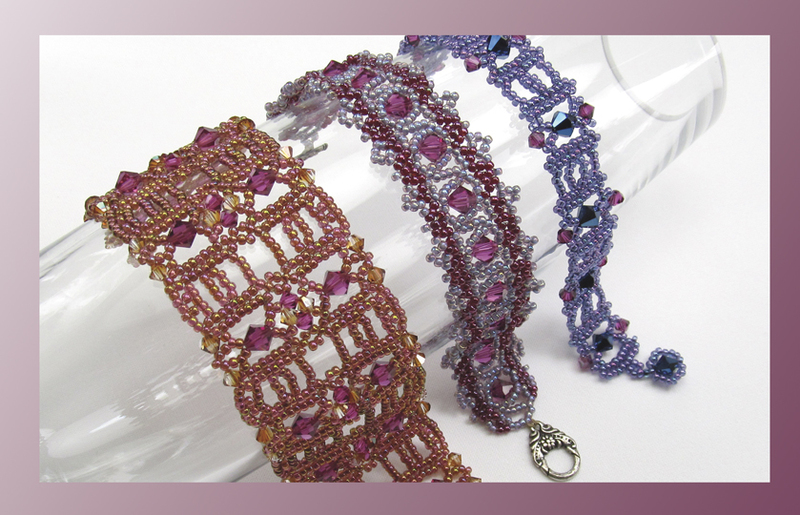 The bracelet patterns in the above photo are available in "Beading and Designing Bracelets - E BOOK"